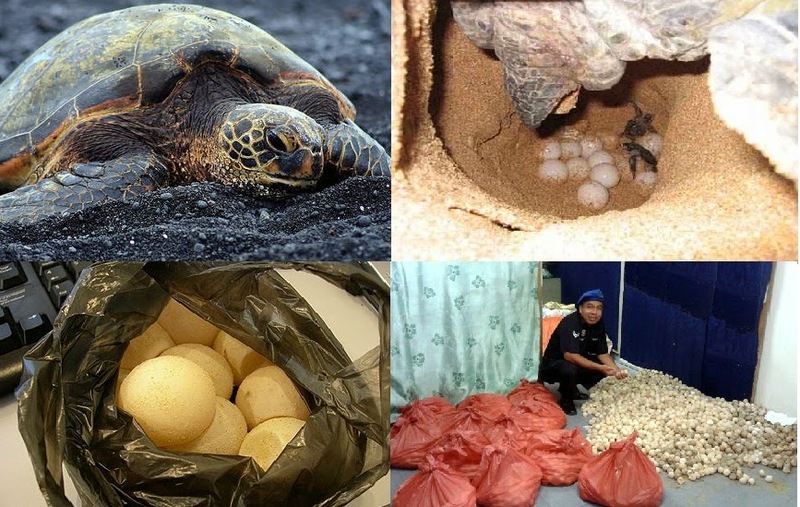 Sandakan: Marine police here foiled attempts to smuggle in a total of 6,500 turtle eggs late May. Assistant Commanding Officer of Marine Police Region 4, Inspector Sri Vikneswaran Renganathan said the seizure was made through two raids in separate locations on May 30 and 31. "The first seizure was carried out at the coastal beach of Kg. Forest at 4am on May 30 where a pump boat was detected at the scene. "When approaching, the boat skipper alighted from the boat and ran into a nearby mangrove forest to escape arrest. Upon inspection, we discovered 3,000 turtle eggs that were believed to be smuggled into the district here for local consumption," he said. The second raid, Vikneswaran said was carried out at a riverbank of Kg. Obar, Mile 7 at about 7am on May 31. "During our surveillance, a boat sped off from the area and we decided to inspect the scene and found 12 plastic bags containing about 3,500 turtle eggs," he said adding that all the turtle eggs have been brought to the the marine police base here for further action. He said the case is being investigated under Wildlife Conservation Enactment 1997. Vikneswaran also called on the public to channel any information to the Marine Police here about any suspicious activities happening at the coast by contacting Sandakan Marine Police team here at 089-221423 / 221424 / 221453. "Public cooperation is very much needed so that smuggling activities can be curbed," he said, adding that the two raids on May 30 and 31 were the result of public tip-offs.